[Update] Winners of the alternate-reality game will receive a limited-edition “Medal of Honor” medal, not a limited-edition copy of the Medal of Honor videogame as previously reported. [Original article] EA Singapore has launched an alternate-reality game (ARG) on Wednesday for Medal of Honor at their Facebook page. The first scripted event of the alternate-reality game was the hacking of the Facebook page by the fictitious Authority for Responsible Gaming (also abbreviated as “ARG” — notice the pun?). Using clues left on EA Singapore’s Facebook photo albums, players were tasked with tracking down the true identity of the hackers. The alternate-reality game is already into its second phase; the next stage of the game will be triggered on Monday. The winners of the alternate-reality game will be given the title of “Tier 1 Operator”, and receive a free limited-edition “Medal of Honor” medal. 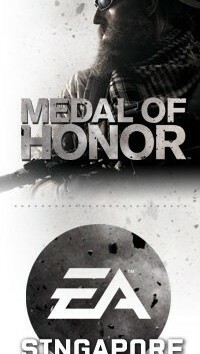 Medal of Honor is a reboot of the World War II first-person shooter series of the same name. It is being jointly developed by EA Los Angeles and DICE, and will be released in North America on 12 October.